This brief required a new radio station within an existing retail unit in Dunstable. 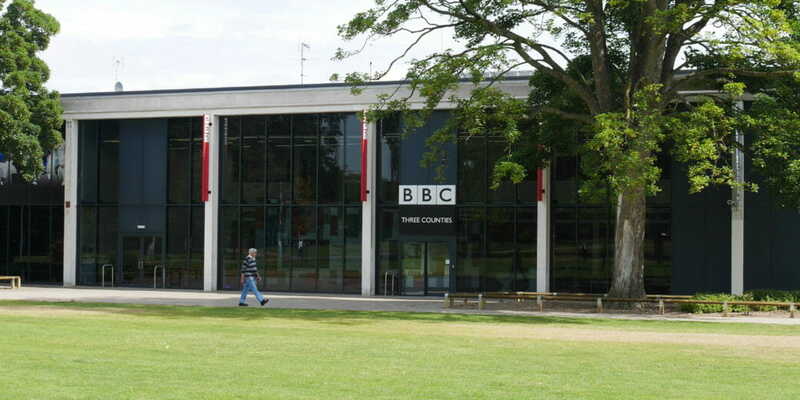 When we first met with the Editor of BBC Three Counties Radio we were given our brief in two parts. 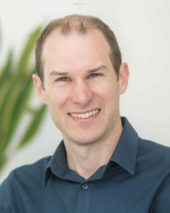 The first was the technical brief, driven largely by BBC Standards used across all local radio stations. 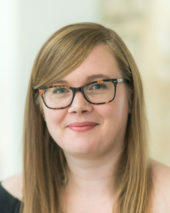 Compliance with this part of the brief would be relatively simple; provide this number of rooms at these sizes with a given technical performance. The second part of the brief was less easily defined; it required the building to embody the values of the station, reach out to the listeners and create an environment to get the best out of the station team. That was our challenge as designers. 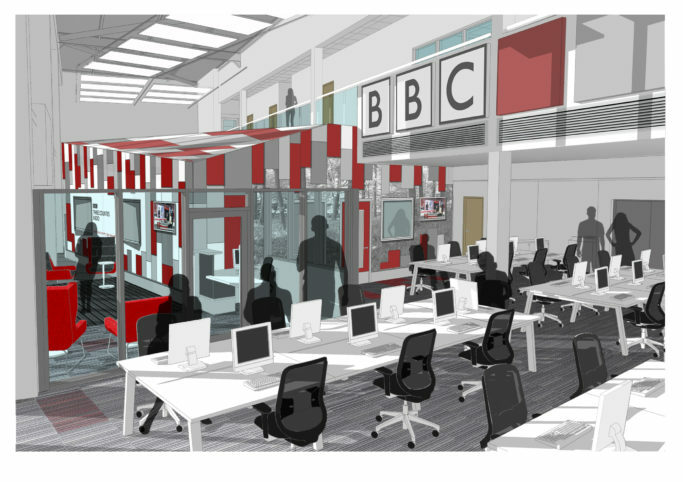 Our first option was based on the standard BBC model, with the studios at one end, opening onto a large open-plan newsroom. 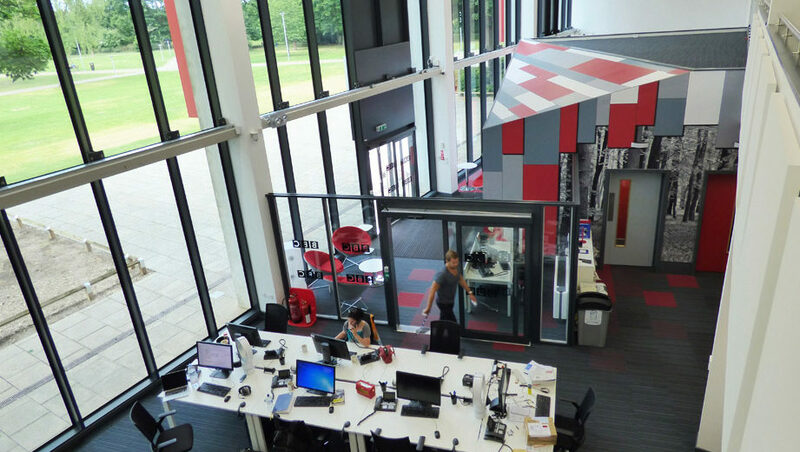 The second option placed the studios centrally in the space, reflecting their position at the heart of the operation. 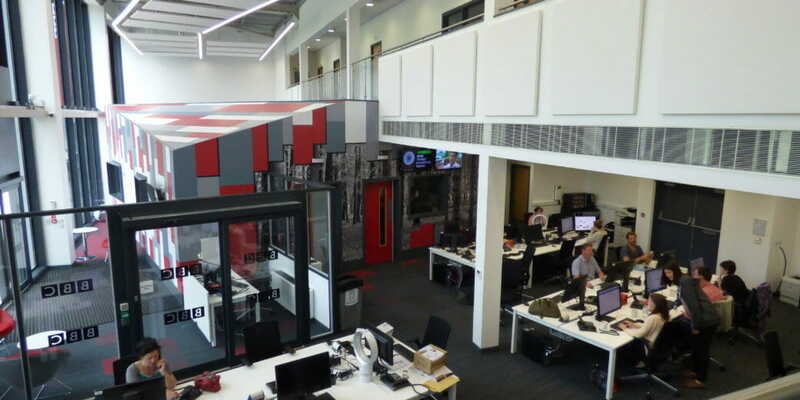 This central location also helped to split the remaining double height space in two, giving the newsroom separation from a flexible open space on the other side. By disregarding the standard model, the studios became a special object that made an impact, creating energy and intrigue. The stakeholders were totally bowled over by Option 2. It was a totally unexpected, radical design. At an instant, they could see how it would change their working patterns for the better. Most of all, it made best use of the existing shell, displaying a fun and creative interior without being ostentatious or inflexible. 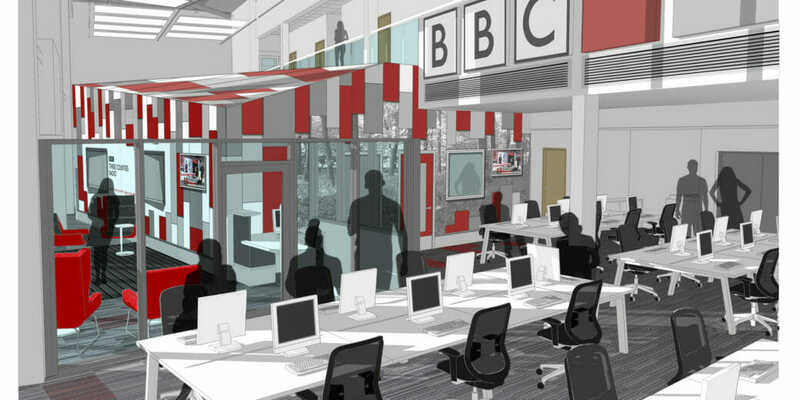 An internal window allowed a view into the studio for the benefit of viewers and presenters alike. 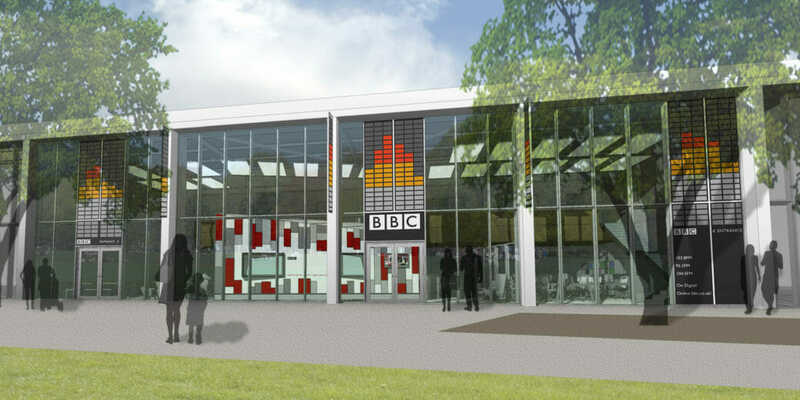 By picking the unconventional approach BBC Three Counties Radio took a leap of faith in us as designers to deliver an exciting space along with the technical performance. 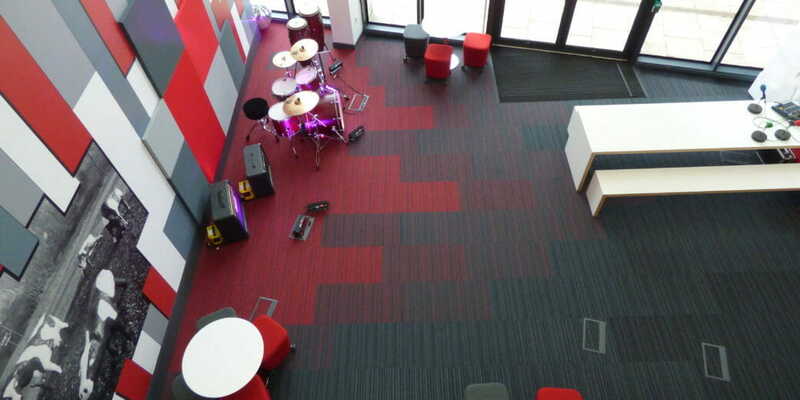 We are delighted to have repaid that trust with a facility that challenged our skills and has proven to exceed their expectations, as presenter Nick Coffer explains in his blog here.